Adam Ericksen talks with Rabbi Ariel Stone about Judaism, Hanukkah, and the growing rise of antisemitism. Why do Christians light Advent Candles? 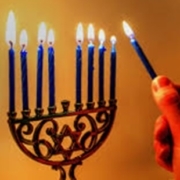 Why do Jews light the Menorah? Join Adam Ericksen as he explains in his latest sermon!